It’s easy to get stuck in a week-to-week rut of doing the same training over and over again, with very little purposeful structure aimed at actually progressing our ability. 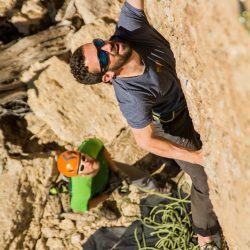 In truth, progress can and does happen somewhat accidentally – you keep going out to the crag and spend a whole day, so you eventually adapt to climbing a whole day. You get tired of trying the easy pitches, so you start trying harder ones. Much like young Conan pushing the Wheel of Pain, you eventually get pretty strong without being all that organized. Over time, most of us realize that getting stronger fingers and getting better endurance are somewhat different goals. We start to focus time on hangboarding or on doing route laps and sometimes we separate these into distinct seasons. Not totally wrong thinking, but maybe not ideal. Some of us get pretty scientific about the process and start to really look at rest periods, training phases, and loading types. That is what this article is about. Although climbing is the best of all sports, it’s not unlike others in its demands on the body. When we are looking to train optimally, rule number one is to do the right amount of training at the right time. Climbing is both demanding to the nervous system and high power muscle fibers (i.e. explosive moves and tiny holds) and to the lower-power fibers and energy-supply systems (i.e. approaches, easy moves, endurance routes). As I mentioned above, we can separate the training into discrete weeks or months where we seek to train only one quality, yet if we are climbing at all during this time, we start to blur the lines. 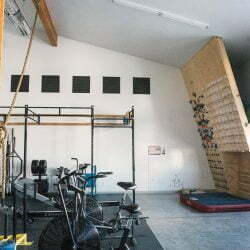 Instead, I suggest looking at your training on a week-to-week basis, as you are going to have to employ all qualities all the time if you are climbing or bouldering regularly. Many of us think that we need several days of rest each week if we are training hard. Research shows that this might not be true: if your training plan is structured correctly and you are disciplined in what you do each session, it may be possible – or even optimal – to train 4 or 5 or 6 days per week. Because your systems detrain and recover at different rates, careful planning can really help your progress. In sport science, the shortest cycle length of interrelated sessions that result in a boost in ability is called a microcycle, or in our terms a week. Ideal microcycles are actually anywhere from 4-8 days, but almost all of us are comfortable within the confines of the weekly system both socially and biologically. Training phases in sport science are often called mesocycles, and are generally made up of 4-5 microcycles. I like to call these months. Although there are effective training plans that last longer than a month or might focus on 2-week periods, this structure works very week within the confines of a normal life. Even my favorite pro climber, who has no fixed schedule to live by, trains on a 10 cycle series of 3 days per series. For practical purposes, a month is a great place to start. Within a week’s training, you can focus on getting stronger or getting more endurance or whatever you like, but sequencing the sessions carefully will allow you to have better sessions, and reduce the overall system fatigue associated with hard climbing. In fact, by careful planning of sessions, you can do the exact same total sessions each cycle, but have greatly improved recovery – simply by getting the sequencing correct. N.G. Ozolin offered a great insight into sequencing of sessions in a cycle in The Athlete’s Training System for Competition. Develop muscular endurance at medium and low loads. *Just kidding. No one should ever do that. This plan would include almost all of the aspects of sport noted above and follows along with the principles suggested in Logical Progression. It is not necessarily recommended to address so many facets in one training week – but the sequencing should remain in place. It is the order of the sessions, including the possibly puzzling placement of medium-intensity skill work first, or the doing of anaerobic endurance before strength, that makes the sequencing so effective. Our base instinct is to do all the hard/intense stuff first, and easy stuff on the days between. Research shows, however, that this is not always the most efficient way to work. A hard workout (of any given type) followed by a moderate workout of the same later in the day type increases fatigue and slows recovery. A moderate session followed by a similar hard session causes a decrease in capacity in the hard session and slows recovery. Makes sense. However, if an athlete follows a hard session (say, max effort resistance training) with a moderate workout of a different type (such as a walk or easy volume climbing) recovery was enhanced. This played out with multiple non-similar types of training and the effect even occurred 24 hours between sessions. 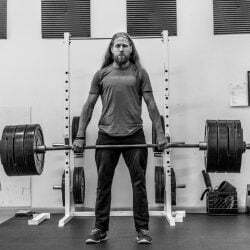 By following each heavy session with a moderate session within the next 24 hours, it is likely you’ll enhance recovery far more than if you just skipped the easy sessions. The trick? Going easy enough in the easy sessions. Setting up a training plan so that every day is a “hard” day. Eliminating important skill work and drills in favor of performance sessions. The thing that is so great about Ozolin’s sequence is that it gives you a principle to work from, a fixed place from which to start each of your training planning sessions. By prioritizing skill acquisition (Hey- you still get to climb, you just have to pay attention to what you’re doing…) and following this up with a strong last half of the week, you can break through a lot of the barriers we naturally set up as novices. If you’re still training the same way you have for years and years, I have good news for you. You’re about to get a whole lot better. I’ve read logical progression and most articles on the site 🙂 Great stuff! Are ‘speed and quickness’ for climbing best trained as 1) redpoint/circuit pacing, or 2) powerful campusing/contact strength and dynamic climbing? I’ve fallen in to the trap of training ‘hard’ through limit bouldering frequently enough that I convince myself that I can’t fit in the practice climbing and technique work (and sacrifice my effort quality outside). I’m going to try this sequencing out to make sure I fit in my medium intensity drills and practice climbing.